Black teenager police killing rate 21 times higher than same rate for whites. 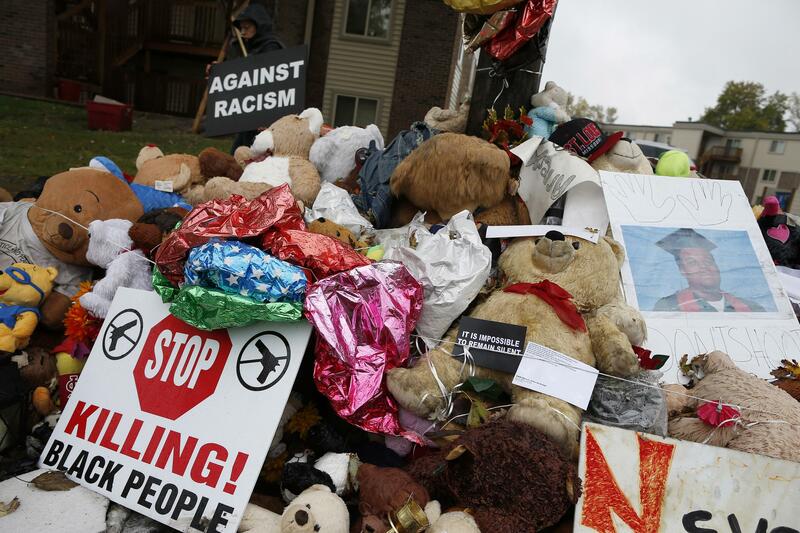 A memorial for Michael Brown in Ferguson. A new study by Pro Publica of FBI data on police-involved deaths found that black males between the ages 15 and 19 are 21 times more likely to be killed by police than their white counterparts. Could higher rates of crime commission by black teens relative to their white peers explain that difference? Or, put differently, are black teenagers simply that much more likely than white teenagers to be involved in situations in which police violence is justified? The data suggest that the answer is no. This post by activist Tim Wise points to Department of Justice statistics that break down violent crimes by the race of the perpetrator. Combining these DoJ numbers—from 2008, the most recent year for which data appears to be available—with population info, it looks like black Americans are between two and three times as likely to commit a violent crime as white Americans. But even assuming that black male teenagers are three times as likely as white teenagers to legitimately threaten the life of a police officer doesn’t explain why they’re twenty times more likely to be killed by police.